Thank you to the Allen Family and all their donors for creating the Sheila Allen Scholarship. Class of 2019 students can begin completing their student profile at any time. Get an early start on your college application process! Click on the "Students & Parents Login" tab and create your ChapterNet profile. gold or oil, but the minds of young people." South Colonie Dollars for Scholars, Inc. is 100% online! All of our scholarships are administered online through ChapterNet, Dollars for Scholars' online scholarship application and student profile system. 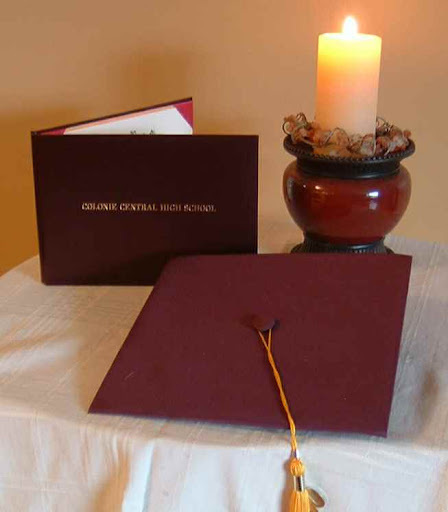 ChapterNet gives Colonie Central High School students access to: our scholarships, national, regional, and FastWeb scholarships using one online profile. You may start completing your profile at any time. Like us on Facebook for important information and new scholarship links. Patronize Community Businesses that Support our Chapter! Our website has sponsor images with links to community businesses who support our South Colonie Dollars for Scholars Chapter's scholarship efforts. Please support those who generously donate to us.